The Iliade was the direct successor to the Renault FR1 coach and was largely similar to it. The coach is 11.995 meters long, 2.5 meters wide and 3.42 meters high. A 10.61 meters long version was also produced. The engines are the Renault MIDR 06.20.45, Renault MIDR 06.23.56 and Renault dCi 11, placed longitudinally in the rear. 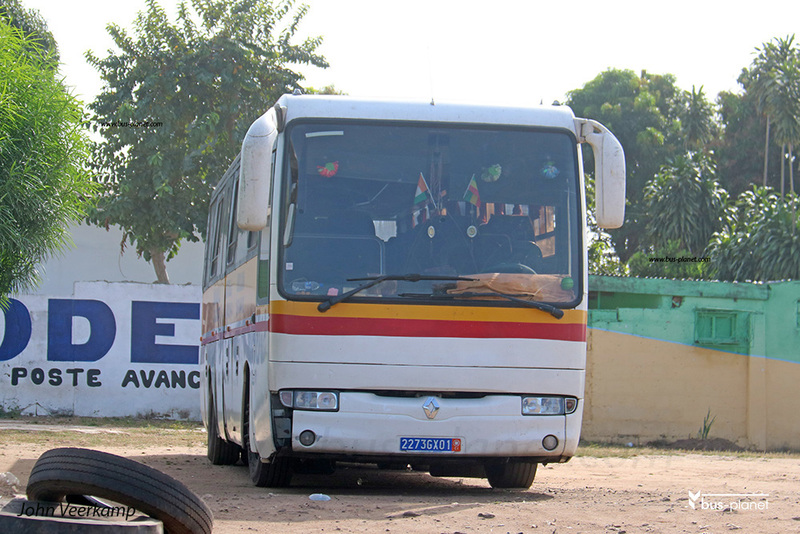 After IVECO took over Renault bus, the Renault engine was maintained as no proper IVECO engine for this vehicle existed. Various ZF gearboxes can be used. Around 5,000 Iliade were produced, with many exported to, among others Italy, Switzerland and Germany. The largest export order was for 330 vehicles for Taseco in Saoudi Arabia. The Iliade was replaced by the Irisbus Evadys. Picture(s) taken by John Veerkamp. Cote d'Ivoire. Dakakala. dd: 2017-11-08.